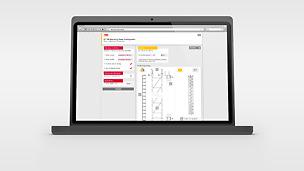 The MULTIPROP Shoring Tower Configurator helps to determine parameters for shoring structures. 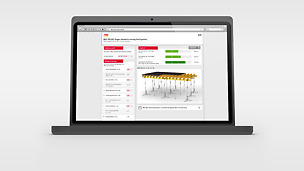 The users identify or determine with the web-based configurator easy, fast and precisely respectively the optimal shoring configuration or the permissible leg loads. Results are based on the test report S-N/040361 with the extensions S-N/100134 and S-N/120134 of the Bavarian State Trade Agency (LGA) and on the performance data from PERI. After selection of the calculation type, the user configures the desired shoring configuration and receives his individual result. This contains the representation of the static system, the respective PERI MULTIPROP Shoring Tower configuration type, the permissible vertical leg loads Fv in kN, the corresponding prop extenstion lengths, the number of different component types and if applicable the utilization of the optimal shoring configuration. 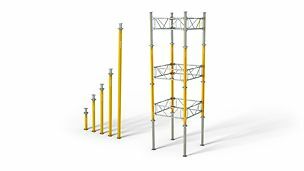 The tool enables the selection of comprehensive configuration variants for various articles and the consideration of wind effects on the shoring. This app provides solutions for tower heights between 1,95 m and 14,90 m.
Basis of the MULTIPROP Shoring Tower Configurator are the test report of the Bavarian State Trade Agency (LGA) with number S-N/040361 from 26.10.2005 with the extensions S-N/100134 and S-N/120134 and the performance data of the shoring system PERI MULTIPROP Shoring Tower, which are to be taken from the assembly instructions for the shoring system PERI MULTIPROP Shoring Tower. 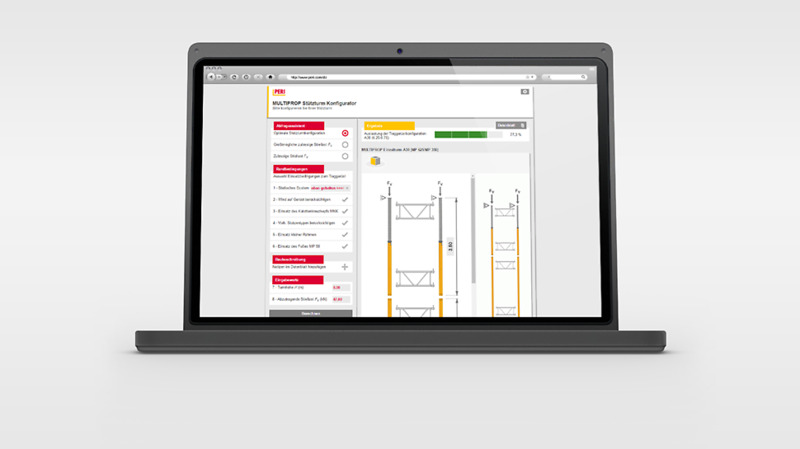 Knowledge of the standard and its terminology is required in order to apply the results of the MULTIPROP Shoring Tower Configurator.